Not all the duties assigned to the Catalinas were associated with the Gold Charters. 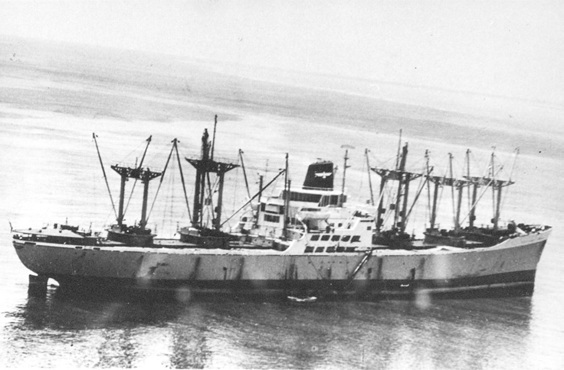 On 16 May 1958 the M.V. President Hayes experienced engine malfunction. The skipper ran out her anchors but they dragged in the rough conditions of an intense low-pressure system. The wind struck her abeam and forced her hard aground on a reef that protects Drummond Island. 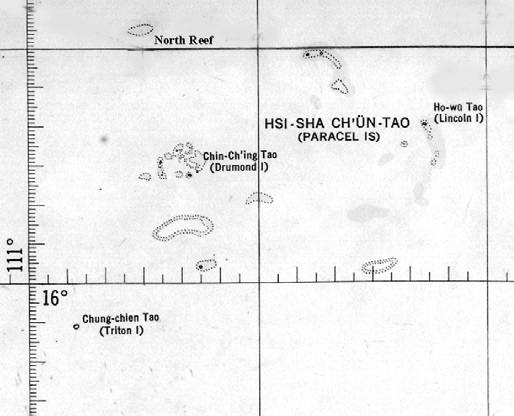 This is one of many minute islands in the South China Sea called the Paracel Islands or Hsi-Shan Ch’On-Tao. Three countries lay claim to these islands and reefs primarily on a suspicion they have massive deposits of black gold. They are China, Taiwan and Vietnam. 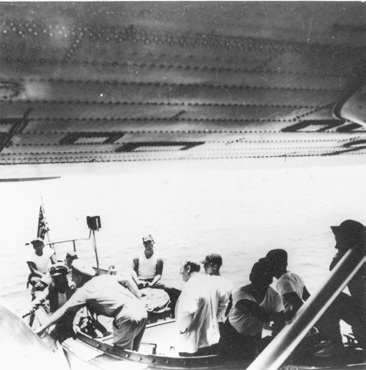 Captain Len Cos Cosgrove did several dummy runs before committing his Catalina to the mainly unsurveyed waters then taxied as close as he dared to the President Hayes. The ship’s lifeboat took the resident Hong Kong Lloyd’s surveyor and his assistants to check the vessel. Meanwhile, with nothing to do Cos went fishing. I have no information if he caught anything or the result of the survey. Yet, with my knowledge of that dangerous area it is possible that the President Hayes never left the reef. Naturally, I checked the area from time to time but that means little. 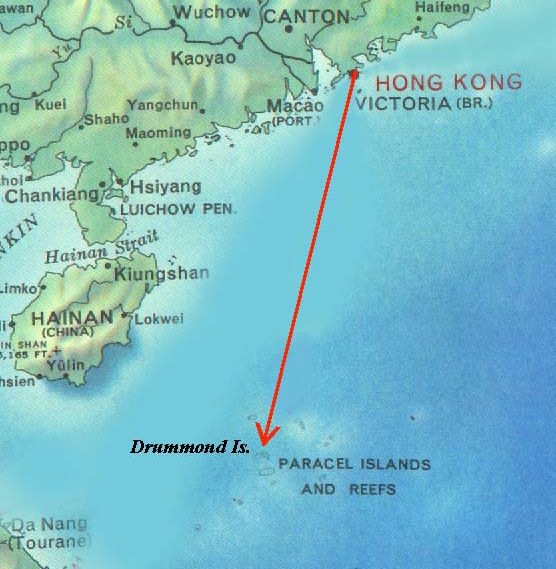 The passages of the typhoons that infest the area tend to flush any unwanted objects into the deep water that begins at the western rim of the Drummond Island reefs. In summary the existence of Macau Air Transport (Hong Kong) Limited (MATCO) smacks as one long adventure story. It was incorporated in Hong Kong under the Companies Ordinance on 8 July 1948. MATCO (Compania Transportes Aeiros dos Macau Limitada) had its registered office in the Prince’s Building , 4A Chater Road, Victoria, Hong Kong. Its original subscribers were Sydney Hugh de Kantzow, Reginald William Hokum Harris, Stanley Ho, and Rogerio Hyndman Lobo, each holding one share. Cathay Pacific Airway’s Butterfield and Swire interests neither wanted the Gold Run nor the two Catalinas VR-HDS and VR-HDH, which became MATCO assets on 1 July 1948. An early MATCO pilot came from the Sunderland fleet of RAF 88 Squadron based at Kai Tak. This was Len Cos Cosgrove. 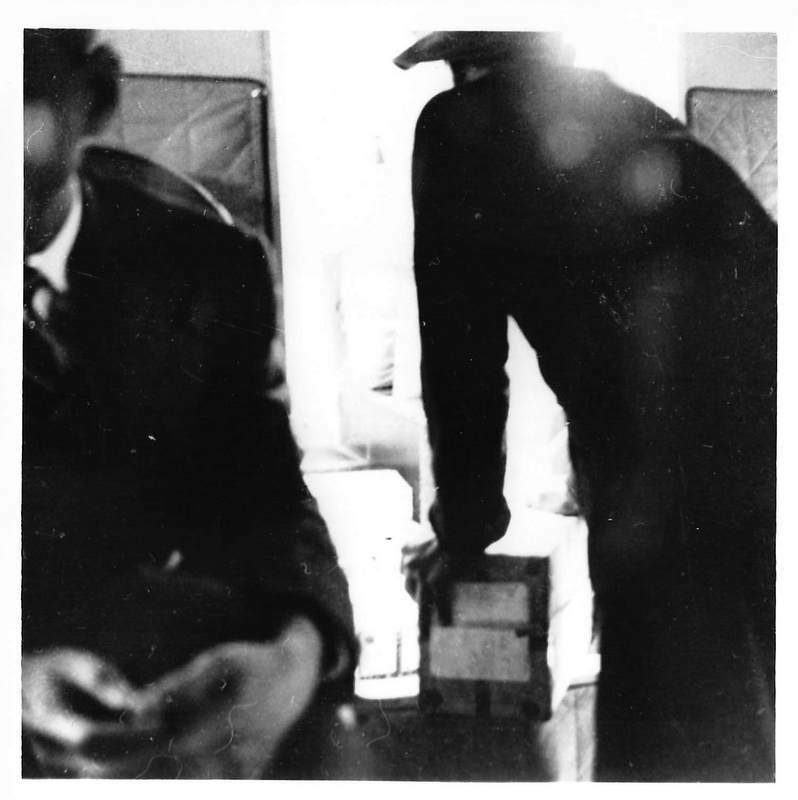 Cathay Pacific offered him a job in July 1948, but he could not get his service release until November. 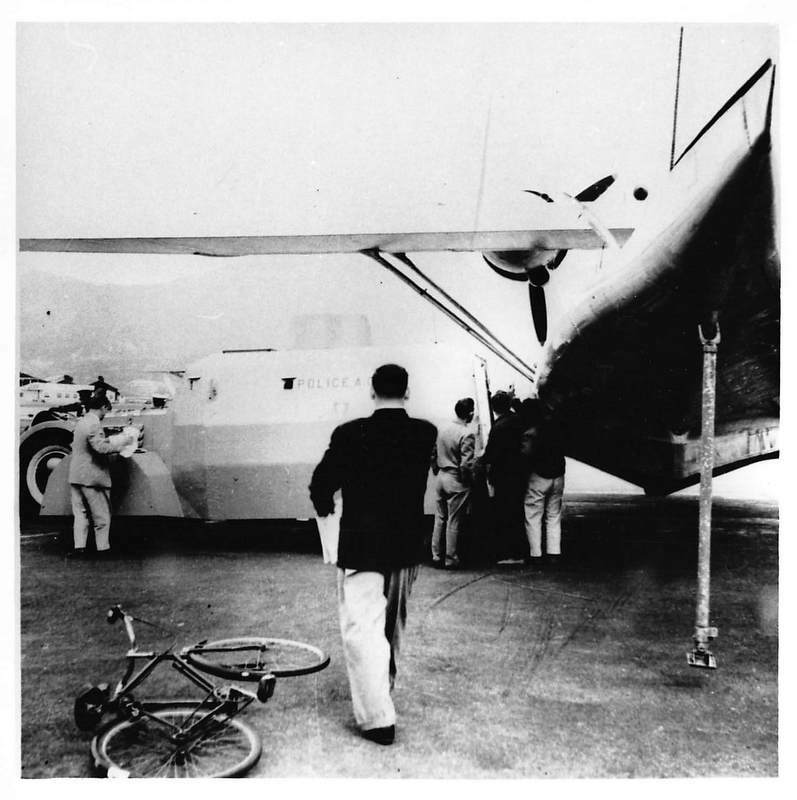 When he became available de Kantzow transferred him to MATCO because of his flying boat experience. Later that month James Jimmy Ennis became MATCO’s chief pilot. 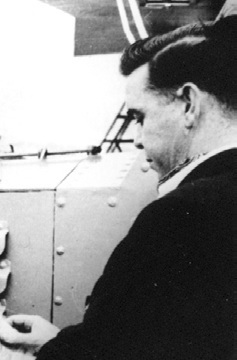 In 1949 Roy Farrell joined de Kantzow and Harris on the Board. Yet, by 1952 these three had severed all connection with MATCO. This made Roger Lobo with 150,000 shares and Stanley Ho (Sir Ho Tung’s Grandson) with 140,000 shares the prime stockholders. In 1958 MATCO revised its livery and logo. Capt. Len Cos Cosgrove pensively checks the Gold manifest. 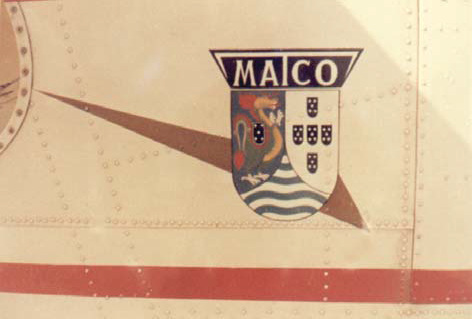 1958 MATCO’s revised aircraft livery and logo.